Zakuro is Dokuro's younger nine-year-old angel sister, though she looks significantly older, and has a far larger bust size than her older sister. 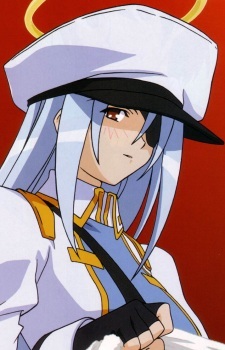 She has the super-human powers of most angels and wears a dress modeled after a naval officer's uniform, as well as an eyepatch on her left eye, for unknown reasons. Calm and soft-spoken, she is quite proficient in battle. Her weapon is a wet towel named "Eckilsax" which can be split into two or more for close combat, as well as stretching itself to bind the opponent. In the second anime series, she moves in with Sakura and Dokuro. She seems to get on well with Sakura, although she sometimes suggests that Dokuro kills Sakura.